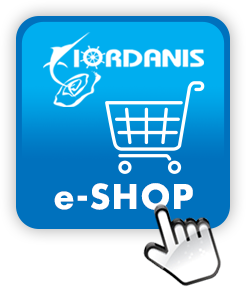 ‘IORDANIS’ company operates on the sector of professional fishing, we specialize on the manufacture and sale of coastal fishing, mid water fishing, overseas fishing and fish farming nets. Reliability of the product quality as well as the time and place of delivery. Customer service is guaranteed even after the transaction, as we value the comments of our customers as well as their complete satisfaction when default of product is proved. Other points that indicate ‘IORDANIS’ company to distinguish among other companies are accuracy in nets’ measurements in height and length, sound sewing, correct proportion of material and fishing nets of the most excellent quality that do not open their mesh. In combination with the know-how we can provide, these are the main reasons of our customers’ preference for our company. Want to stay informed about our products? © 2008 - IORDANIS. All rights reserved.